If you have been charged with drug possession in New Jersey, you could be facing severe penalties. In New Jersey, simple possession, or knowing and intentional possession (K&I) of a small amount of a drug or controlled substance, is often a disorderly persons (misdemeanor) charge. Possession of greater than the minimum weight defined by law is a crime (felony). If you have more than the minimum in your possession, authorities may charge you with possession with intent to deliver or sell, PWID, a felony. Having a consultation with David Jay Glassman, an experienced intent-to-sell lawyer in New Jersey, can help you figure out what your next move should be in this difficult situation. If you face any of these harsh penalties — which have the potential to have a lasting impact on your life and the lives of your loved ones — it is vital that you consult a knowledgeable drug possession lawyer who can handle your case and help you weather the legal challenges you are facing. While drug possession charges brought by the state are generally classified as first-, second- or third-degree felonies, federal courts have a much more complicated system. Although federal and state drug laws overlap, the punishments are not the same. This is yet one more reason to seek a seasoned, knowledgeable drug defense attorney from the very beginning. Among criminal lawyers in New Jersey, David Jay Glassman understands that your future is at stake when you face drug charges. He is able to guide you competently through the complex legal system and do everything within the law to protect your rights and defend your reputation. 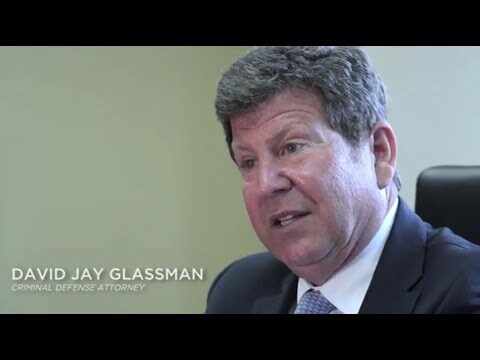 When you are facing serious drug charges, no matter how difficult the challenge, the Law Office of David Jay Glassman is able to find creative solutions to aggressively defend you in court. From our offices in Marlton, New Brunswick, Hackensack and Newark, our legal team handles cases throughout New Jersey. Call us today at 866-221-1270 or contact us online for a thorough evaluation of your drug possession case.